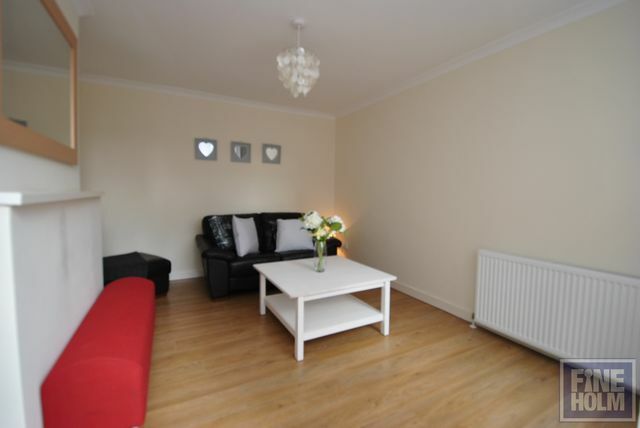 We are loving this cute and quriky one bedroom flat in Glasgow's trendy Dennistoun! If you are looking for a smart flat with your own prvivate piece of garden, this could be it! You can access the flay either through the communal entrance or through teh secure garden gate. The flat has entrance hallway, generous storage cupboards space, lovely bedroom which overlooks the patio, large kitchen with dishwasher, washing machine and fridge/freezer, bathroom with shower over bath and bright living room with patio door to leading to the garden. The patio area is fully enclosed and a lovely place to enjoy sitting in the sun! Moments walk from Alexandra Park, the shops and cafes on Alexandra Parade, overland train and with easy street parking. Access to M8 and M80 in literally minutes. Gas Central Heating and Double glazing. Secure entry.